I remember a creaky, part-rusted two-seat chairlift which went over the top of a mountain and then down the other side. You get used to chairlifts going uphill, but ones that take you downhill are much more rare – and scary. Fortunately it was built by someone competent, but When Ski Lifts Go Wrong explores the many terrible ways in which I could’ve died. It’s a physics-based puzzle game in which you must construct the Alpine infrastructure to see skiers (and snowboarders, sure) safely from the base station to the end of their run, navigating trees, lesser mountains, and other obstacles as you go. You must design not only chairlifts and gondolas to get them to the top of the mountain, but also ramps, bridges, and jumps to guide them as they ski down. 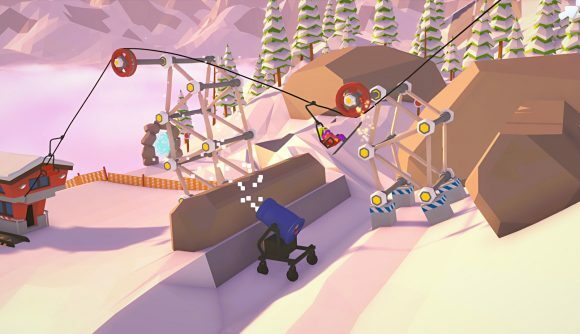 Formerly known as Carried Away, When Ski Lifts Go Wrong has been in Steam Early Access since October 2017, but had its full release yesterday. A sandbox mode has been added, as well as summer levels for year-round risk of serious injury. You can now also control your riders as they attempt your mountain – it looks a bit like something from the Trials series – and there’s a level editor, so you can create your own lethal challenges and share them with others. 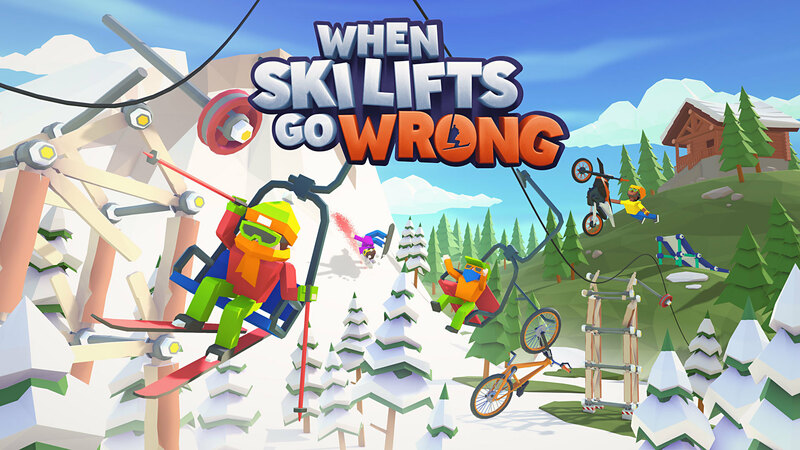 When Ski Lifts Go Wrong is on Steam here for $14.99 USD (£14.99 GBP), though there’s 15% off until January 30. Publisher Curve Digital also brought Human: Fall Flat to market, so it’s offering the two games in a bundle, which is 40% discounted for now. Not bad value if you like physics-based puzzlers.